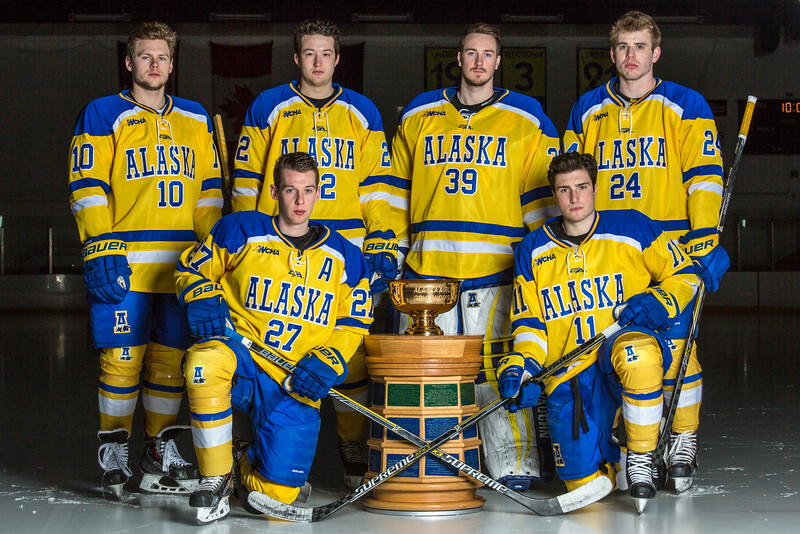 The six returning seniors for the 2015-16 Nanook season pose around the Governor's Cup in April, 2015. Back row left to right: J.D. Peterson, Josh Atkinson, John Keeney and Nolan Huysmans. Front left to right: Tyler Morley and Alex Hajdukovich.